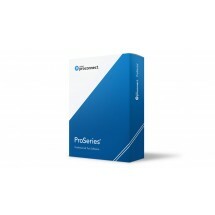 SKYLINE ProSeries® Hosting Bundle delivers comprehensive management of your ProSeries® Tax Software. All installation and updates you require are performed by SKYLINE's Engineering & Client Support staff. 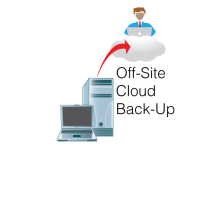 Your Client Data is secured in SKYLINE's Tier III data facilities, with a full-server image created nightly. Access controls are limited according to your Firm's particular specifications. PowerStation custom remote desktop solution configured to accommodate the special requirements of 2017 Scheduled Reports. 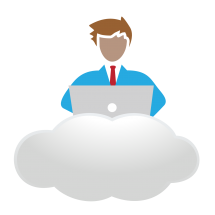 SKYLINE Cloud Services is the ONLY Intuit Authorized Commercial Host to develop a solution for Scheduled Reports. 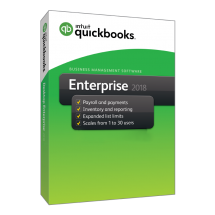 SKYLINE is a founding member of the Intuit Authorized Commercial Hosting Program, providing the full-featured QuickBooks® Desktop software loved by 90% of Small business. 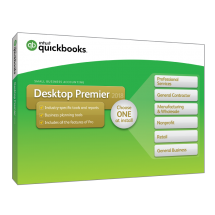 SKYLINE Cloud Services hosts QuickBooks Pro, Quickbooks Premier, QuickBooks Accountant, QuickBooks Enterprise, and QuickBooks Point of Sale alongside other popular desktop software and QuickBooks integrations. SKYLINE is one of the first members of Microsoft's Qualified Multi-Tenant Hoster Program. We're authorized to convert and optimize existing Microsoft licensed infrastructure to The Cloud, in an affordable, multi-tenant architecture that allows Small Business enterprise grade hosting, security and back-up, protecting data and optimizing work-flows. Great skyscrapers are built by those who dream big. If you’re working towards your own corner office on the top floor, SKYLINE Cloud Services can help you get there. Our turn-key software and data hosting solutions for Small Business reduce cost, ensure security and provide flexibility over traditional Information Technology. We deliver top desktop and SaaS software alongside your data to you and your staff, across the room or across the world, using the cloud computing delivery model that’s right for the job. SKYLINE’s month-to-month software-as-a-service (SaaS) billing lets you scale your business, while our SKYLINE Cloud Manager portal lets you add, move or remove software or users in minutes, and get one bill for everything. 24 x 7 x 365 access and live bi-lingual (espanol) business hours support means everything is there when you’re working the late on the pitch that will change everything. With SKYLINE, you “get above the cloud” so you can grow your business, maybe even build your own skyscraper.